What if you could create an online community that brings together some of the funniest people on the planet? That lets writers, stand-up comics, cartoonists and other humorists publish their work, push the envelope and spread their creative wings? For Donna Cavanagh, that “what if” became a reality eight years ago, when she started HumorOutcasts.com in her late 40s. In its “About” section, HumorOutcasts.com describes itself as “THE place to take a humor break.” Visit this site and you’ll find funny stories, drawings and musings about everything under the sun, from pancake house waitresses to Kim Kardashian’s new baby nursery. At an earlier age, the Philadelphia, PA-based writer never envisioned founding a website for people who needed a chuckle. Her entry into humor was “sort of accidental,” says Cavanagh in a podcast interview with BizStarters’ Jeff Williams. Cavanagh was understandably nervous when the boss called her into his office the next morning. But instead of handing her a pink slip, he complimented the holiday piece and asked her to start writing humor. And so a humorist was born. Eventually, Cavanagh left the paper and spent several years writing syndicated humor columns for Pennsylvania and national publications. Then the big online sites began slashing humor, leaving few opportunities for her content. Rather than lamenting about the situation, Cavanagh decided to do something about it. With technical help from her computer engineer husband, she set up a website in 2011 as “a hobby sort of thing.” She chose the name HumorOutcasts.com because it described how she and her fellow humorists felt in the Internet writing world. From there, things “sort of took off,” says Cavanagh. Today, HumorOutcasts.com showcases the talents of more than 100 writers, from newbies to award-winning television writers and producers. The site gets between 2,500 and 20,000 hits per day. The website’s success has led Cavanagh to form a publishing house that now has more than 60 titles. 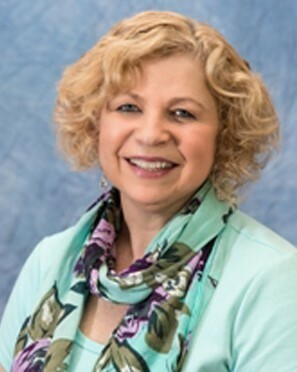 Her company publishes books under three labels: HumorOutcasts Press for humor; Shorehouse Books for other genres; and Corner Office Books for professional, business and legal books. Cavanagh herself is the author of several books, including How to Write and Share Humor: Techniques to Tickle Funny Bones and Win Fans. While she enjoys showcasing the work of funny writers, there’s a serious side to what she does. Her advice for 40-and-older entrepreneurs? Learn about technology. Take classes, be up to date and have fun with it. If you don’t want to handle social media yourself, hire someone who knows what they’re doing. “Getting discouraged is part of the game, so don’t let it drag you down and don’t be afraid to learn,” she says. She also points out the need for patience. As a pediatric oncology social worker, Amy Jandrisevits used dolls in play therapy to help children express themselves. Then one day, a revelation struck. “I realized that the dolls’ thick hair and perfect health were doing the kids I was working with a disservice as they were often faced with a wide variety of physical challenges,” she explains here. Her research found no places that produced dolls with prostheses or missing limbs. So Jandrisevits, a mother of three who lives in New Berlin, Wisconsin, decided to take action. In 2014, she started A Doll Like Me, which provides custom-made dolls for children with physical disabilities. Along the way, the 45-year-old has found a way to combine her long-time hobby of doll making with her passion for social work. One of her first dolls was for a little girl who just had a leg amputated. Since then, Jandrisevits has made dolls for children with a wide range of medical circumstances. Each doll mirrors the owner’s gender, ethnicity, interests and body type – so the child can look into the doll’s face and see his or her own. Jandrisevits, who has made over 300 dolls in the past four years, has many names on her waiting list. She started a GoFundMe campaign to raise funds to pay for the dolls when parents or caregivers can’t afford them (each handmade doll costs around $100 with shipping). For 40-and-older entrepreneurs, the number one reason for starting a business isn’t necessarily to make big bucks. It’s more about doing something that’s enjoyable and gives you a sense of fulfillment. In this video post, I describe a very simple method I used a few years ago to assess what I wanted — and didn’t want — in my next business opportunity. Maybe this technique can help you as well if you’re an aspiring entrepreneur who’s evaluating what product or service to offer. As a two-star nuclear-trained admiral in the U.S. Navy, Robert. O. Wray, Jr. inspected ships, submarines and carriers while reporting to Congress on their status. Now he’s found a new calling: creating technology to help seniors. What led him to this business idea? Two things. One, he wanted to do something to help his aging parents and in-laws. In 2013, Wray founded BlueStar SeniorTech when he was in his mid-50s. The Rockville, Maryland-based business offers technology-based products and services to help seniors, veterans and their family members age safely within the comfort of their homes. “As a proud member of the Naval Academy and product of a family who has multiple generations of veterans who have served our country including my own dad and father-in-law, I feel it is our duty to provide this service,” said Wray in this announcement. Among BlueStar’s suite of products are wearable medical alerts and health monitoring devices. There’s also a controller that turns off the heat of a stove when left unattended, and a smart pillbox that helps people remember to take their medications at the right times. BlueStar serves all seniors but hires vets, donates to veterans causes and offers special pricing to vets and their families. 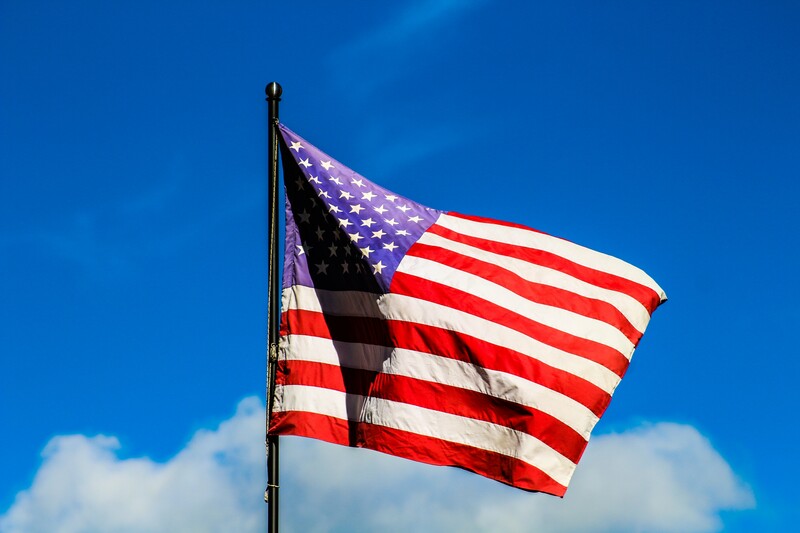 Not surprisingly, the company gets its name from the military (a Blue Star family consists of the immediate family members of someone who currently serves in the Armed Forces). Wray’s former life as a Navy officer is very different than his current one as a business owner. But these two occupations have at least one thing in common. After eight years of written posts, it’s time to change things up. 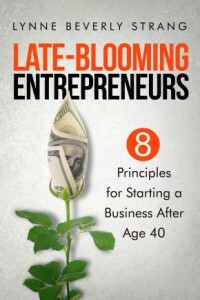 So here’s my first video post for Late-Blooming Entrepreneurs. The topic is – what else? – video blogging for entrepreneurs. If you’re thinking about video blogging (or vlogging), I encourage you to give it a try. Sometimes the hardest part is getting started — especially if you aren’t used to seeing yourself on camera. At the end, I offer my thoughts on the biggest marketing advantage that video blogging provides for business owners. I hope you enjoy the post. As always, thanks for stopping by. 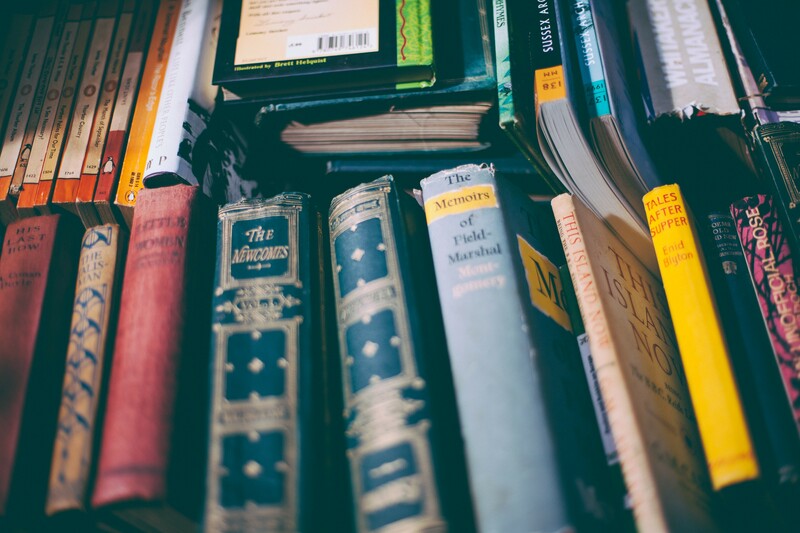 Looking for business books to read in 2019? Maybe this list will spur some new additions to your nightstand. Some of these books are recent; others have been around for a while. Each listing has a key takeaway to peak your interest. One of my Christmas gifts this year was an Instant Pot, a smart kitchen appliance that’s an all-in-one pressure cooker, slow cooker, rice cooker, steamer and warmer. My new gadget got me wondering how it became an Internet sensation. 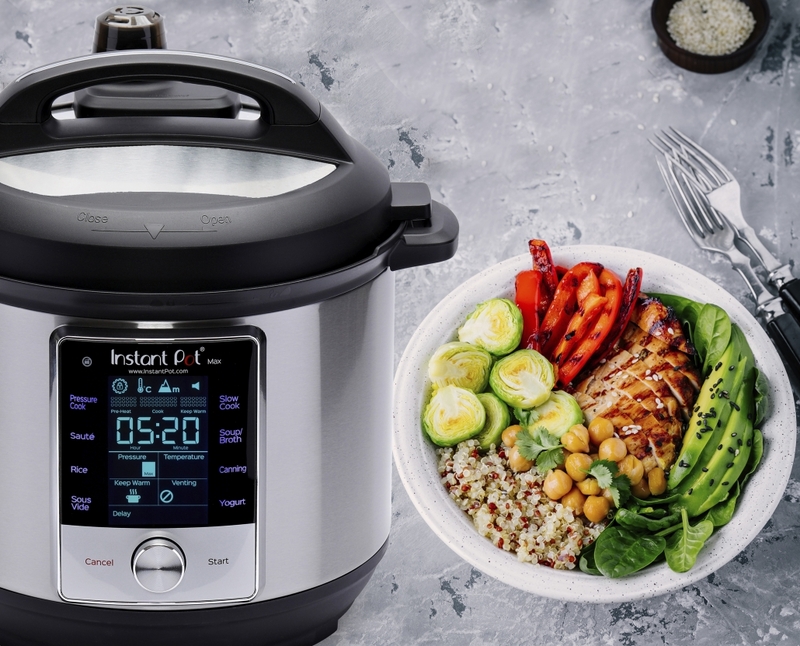 Journalists and other influencers point to Instant Pot’s word-of-mouth marketing, passionate fans and use of Amazon’s fulfillment program as primary reasons for its success. But a sentence on the Ottawa-based company’s website suggests another key factor. “Instant Brands Inc. was founded in 2009 by a team of Canadian technology veterans who set out to explore the food preparation category based on their own life experiences,” the sentence reads. Instant Pot inventor Robert J. Wang was in his mid-40s when he was laid off from his job and began working on multi-purpose cooker designs. Earlier in his career, he weathered many ups and downs from starting three other businesses. By the time Instant Pot came along, Wang had accumulated a combination of professional and life experience that benefited his latest venture. As an engineer with a Ph.D. in computer science, he had the know-how to conceptualize the sensor technology used by Instant Pot. As a father of two, he knew that busy families and professionals didn’t have the time or energy to prepare a hot, nutritious dinner after a long day. View personal dilemmas as potential business ideas. Wang’s inspiration came from his family’s own nightly challenge: what to do about dinner when you’re tired and want a quick, healthy meal. Drill down for answers. Analyze what your customers like, dislike and want. Wang says he’s read more than 40,000 reviews of his products. Be in it for the long haul. Instant Pot required eighteen months of grueling research, design and development prior to the product’s introduction in 2010. Make changes when necessary. After its first product, Instant Pot produced subsequent versions to improve functionality, user-friendliness and safety. Get legal counsel to avoid big headaches. Wang planned to call his invention the “iPot” as a tribute to Apple. His attorney feared trademark infringement and wisely advised against this idea. For 40-and-older entrepreneurs, Wang’s story offers one more lesson: don’t let age stand in your way. Here’s a CNBC video that tells more about Instant Pot.